BLYTH, ON – Cowbell Brewing has announced details of a new addition to its Founders’ Series of year-round beers. Outrageously hoppy and classically bitter, Boxing Bruin is a true IPA. Five unique hops and a touch of Belgian Candi Syrup create a burst of vibrant tropical aromas and flavours of lime, mango, and lychee. The body is smooth with focused bitterness and a refreshing finish. Doc Perdue was Blyth’s veterinarian in the late 1880’s who rescued and cared for a variety of animals, including a bear cub he named Bruin. Along with impromptu boxing exhibitions with the fully-grown Bruin, Doc’s office became Blyth’s unofficial zoo — and a popular spot for gatherings. 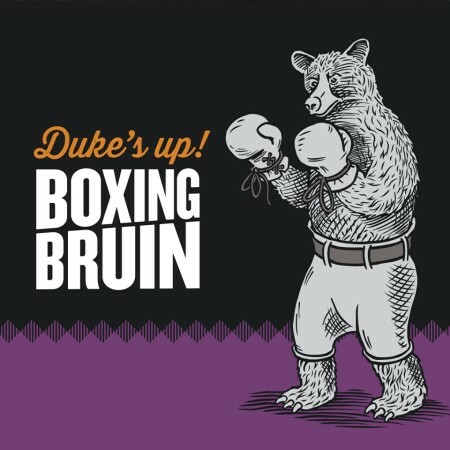 Doc Perdue’s Boxing Bruin is available now at Cowbell, and will launch December 4th in 473 ml cans at LCBO outlets throughout Ontario.